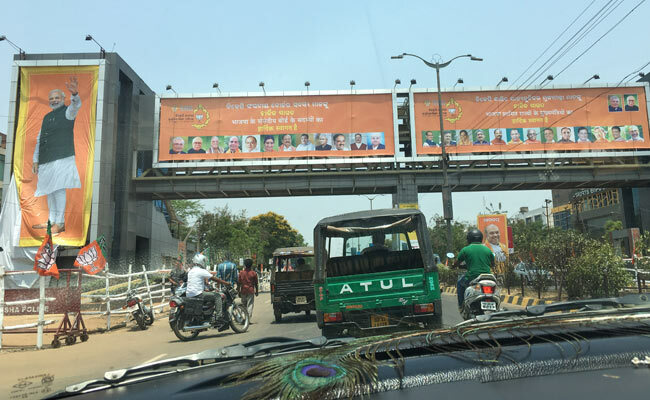 Bhubaneswar: BJP today named the venue of its national executive meeting here after the dalit poet Bhima Bhoi apparently to woo dalits who constitute over 17 per cent of Odisha's population. "The national executive meeting venue has been named after revolutionary poet Bhima Bhoi. The saint poet had unique ideology which is being followed by crores of people in Odisha, Chhattisgarh and Jharkhand," Union Petroleum and Natural Gas Minister Dharmendra Pradhan said inaugurating the media centre set up for BJP's national executive. Mr Pradhan said the dalit poet was blind since birth but wrote a number of revolutionary poems and his ideology has been appreciated by the United Nations. "Bhima Bhoi was also a social reformer and symbol of brotherhood and respected by people, mostly poor," he said. BJP had won only two SC seats in the assembly and none of the three Lok Sabha seats allotted to the community. The party now focuses on dalit votes which traditionally belonged to Congress but has now slipped into hands of the Biju Janata Dal. The dalit population in the state is 71,48,463 according to the 2011 census. BJP president Amit Shah started his three-day tour of Odisha by garlanding the statue of B R Ambedkar at the AG Chhak near the state secretariat.